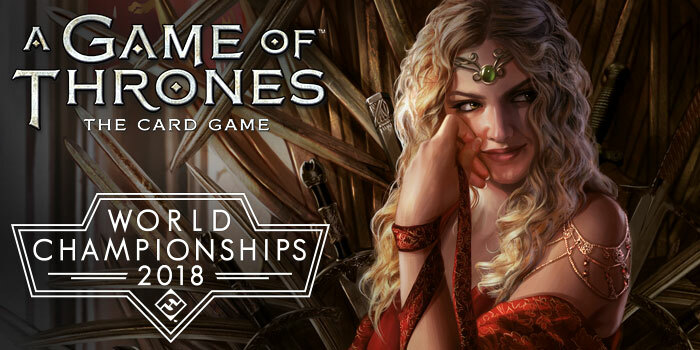 The 2018 World Championships for A Game of Thrones: The Card Game are almost here. Players are coming from all over the globe to vie for the Iron Throne, and they'll come prepared to face an endless array of brutal military challenges, thick webs of intrigue, and devious political schemes. The competition may almost prove treacherous enough to turn friends against each other, but the A Game of Thrones: The Card Game community is strong. Its members are not easily turned against each other, and in the quiet moments between sword thrusts and dragon fire and political betrayals, they'll rekindle their alliances during the weekend's side events. This year, those side events include both the Grand Melee and the Kingsmoot, which offers a game variant that players at the World Championships should be happy to bring back to their local playgroups—and that those playgroups should be happy to enjoy when their champions return. 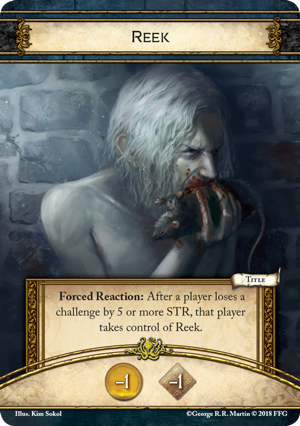 For more about this exciting variant, we turn to the Organized Play team's primary graphic designer—and longtime A Game of Thrones: The Card Game enthusiast—Ryan Ritter! 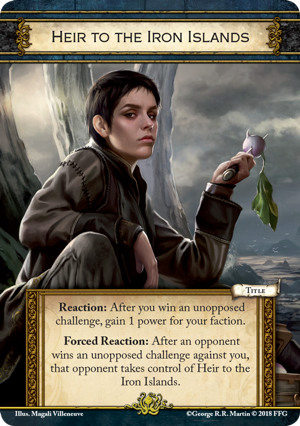 One of my favorite things about A Game of Thrones: The Card Game is its community. A strong community does more than welcome new players and transform tournaments into fun social occasions. A strong community also keeps the meta fresh. Not only by designing and running special events and new types of decks, but also by introducing creative new formats. A Game of Thrones: The Card Game may be "the only game that matters," but there's always been multiple ways to play it. 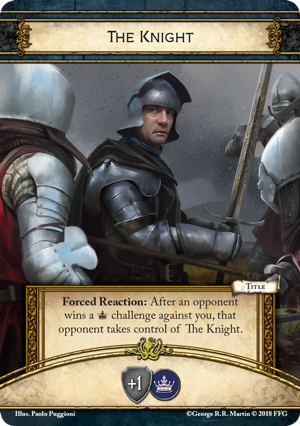 The main two are Joust, which pits you against a single opponent for control of the Iron Throne, and Melee, in which the factions in Westeros keep siding with different members of the Small Council to see who will end up on top. There are multiple variants for these formats as well, especially in Joust where we have both the traditional game mode and the Rookery variant, soon to be featured in the upcoming Great Hall events. When the attendees at November's World Championship weekend come ashore, I'm happy to announce that they'll be able to participate in yet another variant—the Kingsmoot! As some veteran players may remember, the Kingsmoot first entered the game as a multiplayer format in first edition, but unlike the Melee, in which players chose their titles each round, the Kingsmoot forced you to pay the iron price to secure your position of power. You didn't broker for titles, you fought for them. 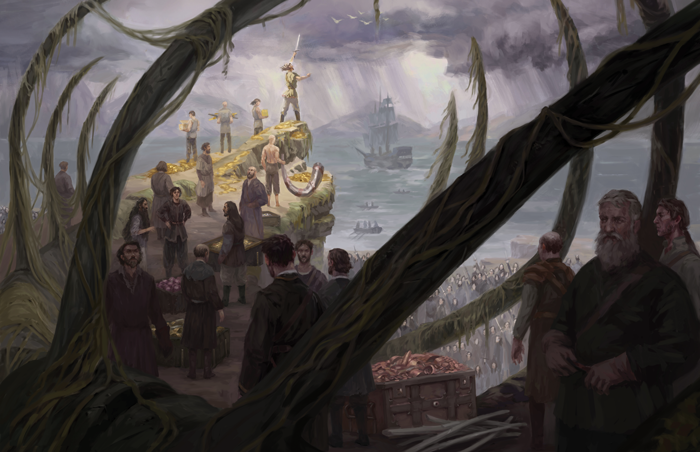 This is in keeping with the tradition of the Kingsmoot, the ironborn ritual meeting that sees the election of a new King of the Iron Islands. 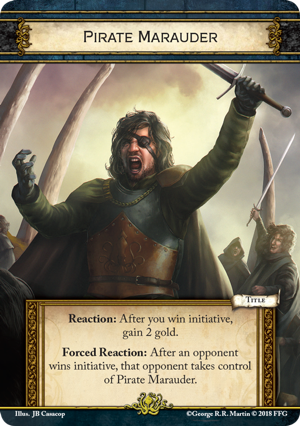 These elections—these Kingsmoots—have been riddled with betrayal, intrigue, and bloodshed, and in the Kingsmoot variant, you must also contend with this betrayal, intrigue, and bloodshed as you seek the support of the lords and ladies of salt and rock to secure your place as the rightful King or Queen of the Iron Isles. 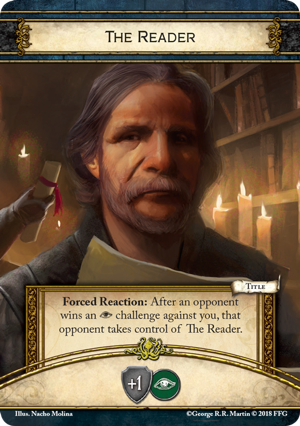 Show the master of Grey Garden that you have the support of the people by consolidating your power. 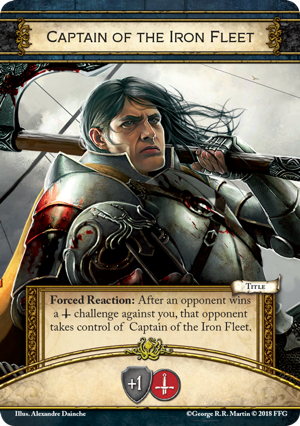 Prove to Victarion Greyjoy you’re worthy of the support of the Iron Fleet by striking down your opponent’s forces. Plot with Rodrik and show that victory can be achieved by other means than brute force. 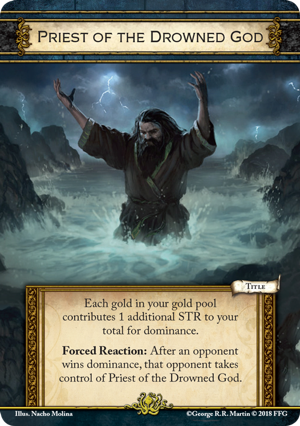 Win the favor of Aeron Damphair by showing the dominance of the Drowned God. Convince Asha Greyjoy that you are the one true heir of the Iron Islands by showing no one dare opposes you. A true pirate is the first storm and the last. No one knows this better than Euron Crow's Eye. Even the best of us can fall from favor. Just be careful not to forget who you are. Secure your seat of power by calling a vote for the leadership of the Iron Islands. I have been super excited to see the Kingsmoot make its second edition return because it brings a multiplayer experience that is truly different than the standard Melee. In Kingsmoot, the game isn't won by the player who finds a way to get to fifteen power first, but by the player who is able to seize the most votes (read: titles). 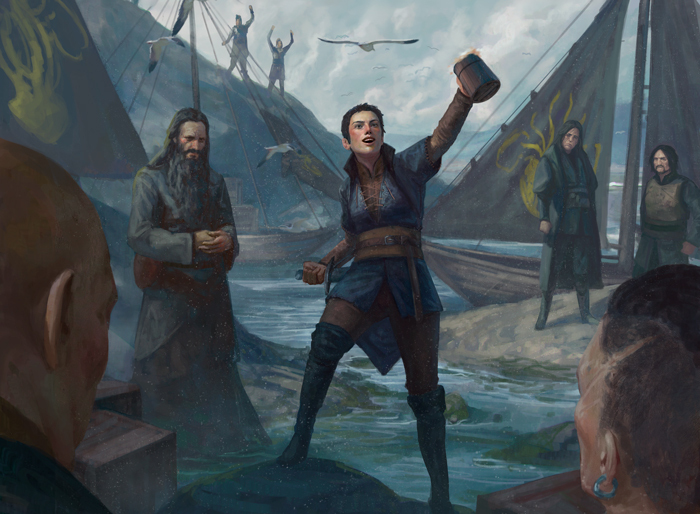 In the Kingsmoot, if a player can claim six titles; that player is voted King or Queen of the Iron Islands and immediately declared the winner. But there's plenty of reason to fight for every single title, even if you're not likely to collect a set of six. 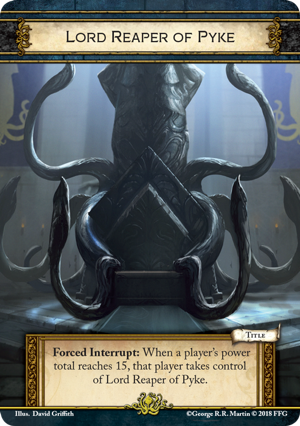 The titles can change hands at a moment's notice, and if any player gains fifteen power, that player claims the Lord Reaper of Pyke title, a vote is called, and victory goes to the player with the most titles. The Kingsmoot rules (pdf, 197.8 KB) are available for download, and now is time to read up. The November World Championships are fast approaching. Once you arrive on shore, there won't be a moment to turn your back. 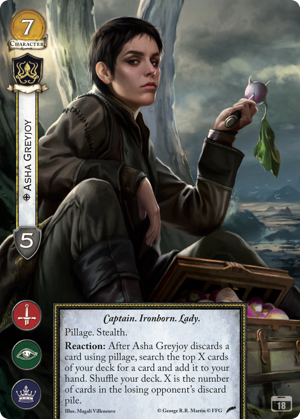 Of course, there will also be Greyjoy-themed prizes at the event, including spot-glossed Greyjoy faction cards and extended art versions of Asha Greyjoy illustrated by the talented Magali Villeneuve. You've already paid the gold price for your ticket. Now we'll see how you do with the iron price. I can't wait to see you at the 2018 World Championships!